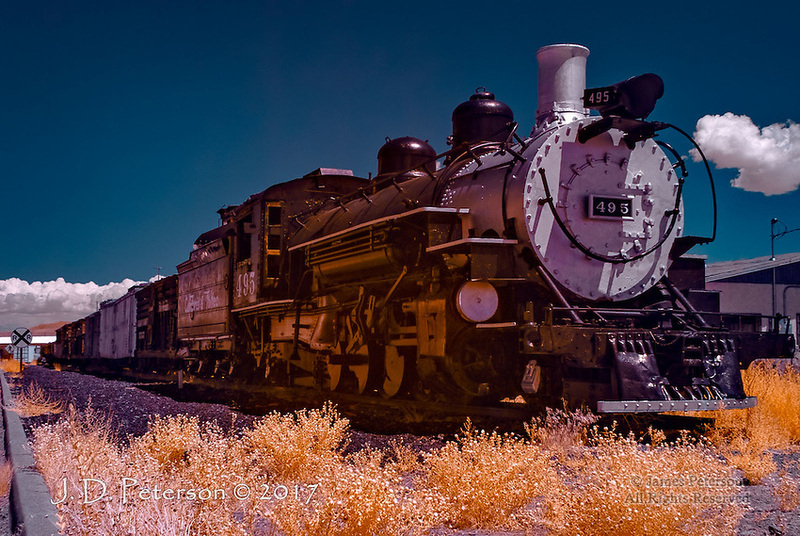 Old 495, Antonito, Colorado (Infrared) ©2017 James D Peterson. The Cumbres and Toltec Scenic Railroad is a narrow gauge line that was originally part of the Rio Grande Railroad. It has been preserved and maintained as a living history museum by the states of Colorado and New Mexico and a private foundation.